The Wrecked Wench is my home tiki bar. Melding the themes of tiki, pirate, and nautical it is an ongoing art project for me. 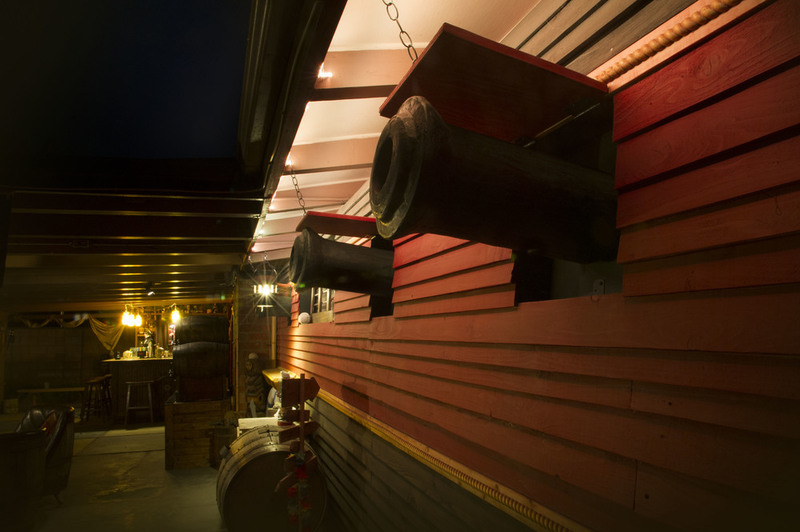 From the cannons and ship side on the outside of the house, wood burned pirate ships on the custom bar top, Barrel keg taps, and various other decorations, it is constantly evolving and keeps me busy with upgrading it. I am very excited that The Wrecked Wench has been featured in the Winter issue of Tiki Magazine. This pendant is a gift to friends who have frequented my home tiki bar, The Wrecked Wench. Sculpted in super sculpey, hand cast and molded, and hand painted. Sculpted in super sculpey and hand painted.